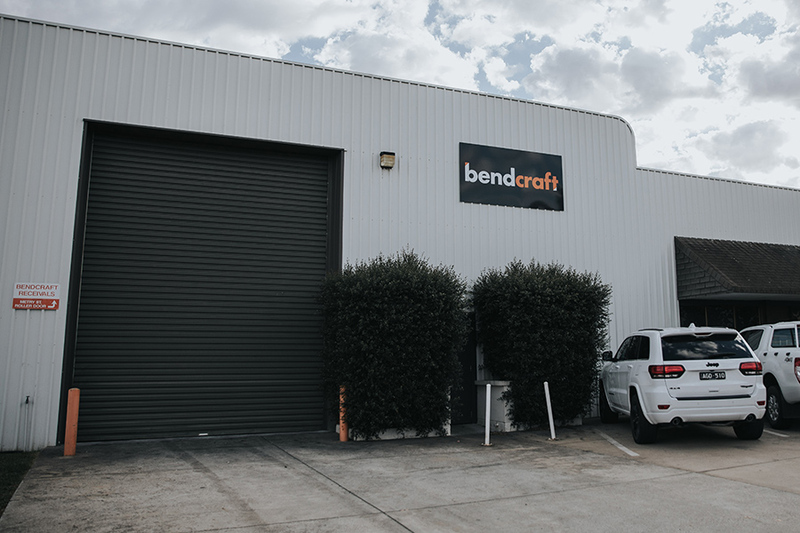 Bendcraft products is a wholly Australian owned and operated family business with a clear focus in personalised customer service, precision products and innovative problem solving. This vision has enabled us to become a preferred supplier to notable companies that require high end specified componentry, e.g. precision exhaust radiator equipment for V8 supercar racing teams, Sydney Cricket Ground Handrail upgrade, G.M. Holden production line componentry and completed handrails for the new suburban passenger rail cars. Our family owned and operated business is pleased to offer skilled personnel to provide you with the service and advice you need and deserve. Whether your requirement be for 20 items or 20 000 items, we guarantee a precision product every time! Bendcraft Products is an innovative organization providing a specialized service to the metal fabrication industry with a commitment to precision products and componentry. Bendcraft Products provides a comprehensive range of services and products through professional customer relationships while building a strong and sustainable business structure. Bendcraft Products provides a safe, enjoyable work environment with values on integrity, hard-work, honesty, reliability and employee benefits. Bendcraft Products will embrace opportunity and change whilst always striving for continuous improvement in all facets of marketing, operations, customer service and business development. To foster, grow and maintain lifelong relationships with our customers through a relentless and dedicated committal to customer service. To maintain fully satisfied customers by continually exceeding their expectations of excellence. To instil the core values of trust, loyalty and honesty into our employees, subcontractors, suppliers and clients alike. To ensure we always deliver our commitments, on time or before time every time. Bendcraft Products places the highest value on providing a safe work environment for all employees. A primary commitment of Bendcraft Products is its passionate desire to ensure all employees return home safe every day. cient manufacturing solutions to all our customers. The Bendcraft Products vision is to be the preferred and most comprehensive service provider of metal bending and rolling of products and componentry in Australia. cient and lean manufacturing processes. I have had a flawless experience dealing with Bendcraft with respect to service, cost, quality and precision. We have absolutely no hesitation in recommending Bendcraft Products as a specialist manufacturer of mandrel bent componentry who clearly have the ‘know-how’ and machinery to consistently supply products of the highest standard. In terms of personnel, product quality, accounts and packaging standards, we can say we are very pleased with the standard of service your business provides and we would have no hesitation in recommending Bendcraft to any manufacturer who requires componentry of high quality and consistent accuracy. Our company was under a lot of pressure to finish this contract for the opening of the new stand by the Prime Minister for the New Year test Match. Bendcraft assisted us in meeting this onerous schedule. We are happy to recommend their services to other contractors.